Get an instant quote and book your transfer to La Plagne from Geneva Airport. As well as an airport transfer from Geneva to La Plagne, Ski-Lifts also operate transfers from nearby airports including; Lyon, Grenoble and Chambery. Geneva to La Plagne transfer time is around 2 hours 30 minutes, so you’re door-to-door transfer will have you at the ski resort before you know it. Remember to use your loyalty points for a discount on your next transfer! Getting an airport transfer to La Plagne could not be more simple with Ski-Lifts. You will have peace of mind that your driver will be waiting for you the moment you step off the plane, ready to take you to La Plagne. Book online today using our easy to use quote generator and booking system. Get a quote now! Ski-Lifts offer the broadest range of airport transfers to La Plagne. Ski-Lifts ensure you have a hassle-free journey by using friendly, local and knowledgeable providers. You can also receive 24/7 customer service for all your related transfer enquiries. We recommend when travelling to La Plagne to fly to Geneva Airport. Ski-Lifts have a permanent stand located in the arrival’s hall at Geneva Airport. This means that when you land in Geneva you can be safe in the knowledge that someone will be on hand to assist you. We also offer transfers from alternative airports and train stations including; Lyon, Grenoble and Chambery, as well as Aime train station. 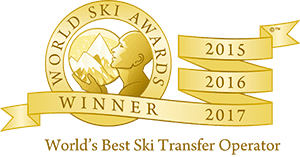 Ski-Lifts offer a variety of transfers to suit your needs, including; private transfers to La Plagne, shuttle transfers to La Plagne (a great budget transfer option), executive transfers to La Plagne, La Plagne luxury transfers and coach transfers to La Plagne for those travelling in a large group. All the transfer options are available from all of the airports and train stations mentioned. – Book online using the above quote generator. This only takes a little while and once you have paid by Paypal or credit/debit card you will get an instant confirmation of your booking by email. Relax and look forward to your trip knowing that your driver will be waiting for you when you arrive at the airport. – For your return journey, we will send you a text message the afternoon before you are due to depart confirming your exact pickup time from your accommodation for your transfer from La Plagne to the airport. Are you planning a last-minute trip? We accept all bookings up to 48 hours prior to your transfer date. 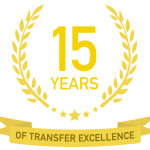 If you would like to book within 48 hours, get in touch and we will do our best to get a transfer arranged for you. Do you need to cancel due to a change in circumstances? Get a full refund when you cancel +7 days prior to your travel date. Book a transfer from Geneva Airport to La Plagne with Ski-Lifts and you’ll be collected from Geneva Airport by your driver in the arrival’s hall. Ski-Lifts provide a friendly and reliable service for your comfort and safety during your ski holiday to La Plagne. The drive will take you across the border into France. Enjoy the scenery of the journey as you sit back and relax. The journey itself will take around 2 and half hours however you will need to allow extra time during peak times. La Plagne is part of the giant Paradiski area. This French ski resort is made up of 11 villages including; La Plagne, Aime-La Plagne, Champagny-en-Vanoise, Montchavin and Les Coches. La Plagne 11 villages are located across a giant and largely gentle plateau alongside a steep mountain. You can easily travel between the villages with Ski-Lifts as we provide transfers to all of La Plagne’s villages, simply use the quote generator to get an instant quote. The Paradiski linked ski area is a must visit for ski enthusiasts. The giant ski area is linked by 128 lifts and you can enjoy a total of 425km of marked runs across the 3 resorts (La Plagne, Les Arcs and Peisey-Vallandry). If you have decided to take your teenage children on a winter ski trip to Europe, then La Plagne is a great choice! Teens make up more than any other age category, so it’s important the resort has a good selection of age-appropriate events and activities to challenge and excite. The ski area is best suited for intermediates and families who are on the lookout for wide and gentle slopes. Having said that, even the experts will be challenged by the 37 black runs, sufficient off-piste, steep couloirs and over 1000m of descents for the bravest skiers. With a range of off-piste skiing to give even Chamonix a run for its money. If you’re visiting La Plagne, it is recommended you go for the Paradiski ski pass. The pass gives you access to 3 ski resorts and 425km of marked runs (70% of which are above 2000m). However, you can purchase a pass giving you access to just La Plagne. Who is La Plagne Suitable For? La Plagne is suitable for families, with a quieter nightlife. Some of the 11 villages are livelier with a larger apres ski scene so there is still plenty of opportunities for a couple of vin chauds. Due to the fragmented nature of La Plagne, the nightlife can be limited which makes it perfect for families. If you are looking for somewhere a bit more lively then head to the village Belle Plagne. In terms of dining, there are around 100 places to eat spread throughout the villages. The eateries range from family-friendly and simple creperies and pizzerias all the way through to gourmet establishments. None of the villages individually are large enough to support a full range of accommodation in comparison to the likes of Morzine, however, across all the resorts collectively there are around 54,000 beds meaning you will easily find the right accommodation to suit the whole family. La Plagne is a great resort for intermediates and families, so it won’t surprise you to find out that there is an excellent choice when it comes to ski schools. You won’t find language barrier a problem as the majority of ski schools have English speaking instructors.